Some say that hair care is just a matter of vanity. Is it really? Short, long, wavy, curly, unaligned. There are styles to suit all tastes. But are the reasons that drive people to cut hair are merely cosmetic? To find answers about hair care, we have to look back, to the ancestors who precede us. At the beginning of times, when we were still hominids, just a resemblance of human beings, inhabitants of tropical regions, the fittest were those who did not overheated. 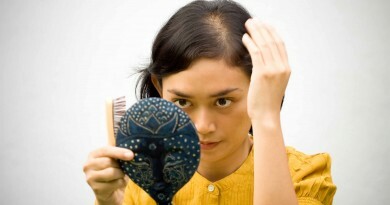 Those who got a way to lose hair, both body as capillaries, had a better chance of surviving. This requirement eventually became biological and today, although we have the same number of hair follicles chimps, the density is much smaller. Centuries later, men began to realize that they also would be better protected if they have short hair: in hand-to-hand fighting, hair was an easy target to get the opponent. And thus haircut changed. However, this occurrence was not fashion. Far from it, the most powerful used their lush hairstyles to draw attention, as demonstration of status. This is because a good hair care is a sign of good health and, consequently, of great evolutionary capabilities. It happens even today, but it was a common practice over the past centuries, having it peak sometime between the 17th and 19th centuries. On the other side of the barricade, when it captured by enemies or enslaved, the first act was to shave the heads as a way to lower the self-esteem and skills. Short hair trend grew in men with World War I. Before the battle, the military demanded that the soldiers cut the hair short, to prevent infections and the proliferation of insects and bacteria. Since then, it is fashion for a man to have a cared, beautiful and short hair. Currently, cut the hair may have many other uses besides these. Sometimes, we do so only to change the state of mind: when we feel a strange need for change, one of the first things that happens is to change the hairstyle. Or, otherwise, when a change is imposed to us, as the end of a relationship or a promotion at work, to start the new phase, we change the hairstyle. Special occasions, usually associated with rites of passage, also justify a new look: a wedding or a birthday party, for example. Trivia time: how does your hair grow ?